We've been watching so much HGTV lately, that Nate has started playing "reno." 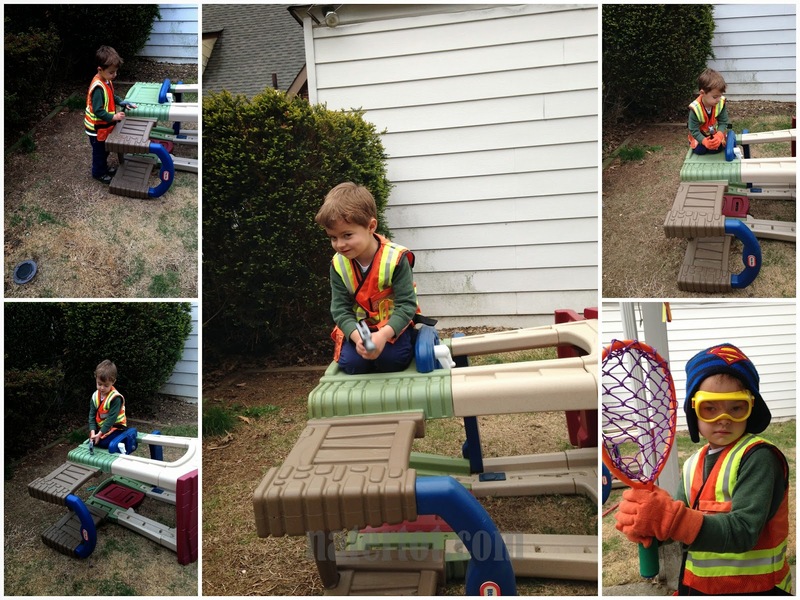 This involves putting his construction worker gear on and hitting his playhouse over and over again with a bat or racket. The neighbors love us.